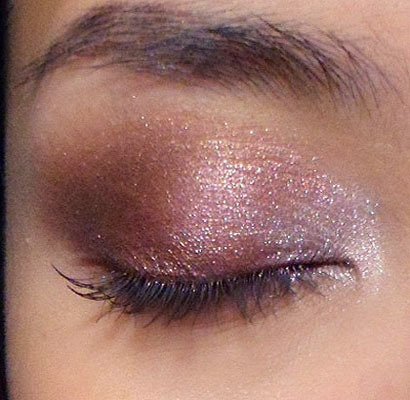 This is a softer smoky eye that is quite subtle but multi-faceted so there are nuances of shimmery color, but nothing too loud, too contrasting, or too overpowering for your face. As always, you don't need to use the same product if you can't get hold of The Body Shop where you are. I swatched all 4 shadows so you can look for similar tones as substitutes. Step 1: I used a brown pencil all around my upper lid and smudged it out with a finger to fill in the lids. This will be your base. 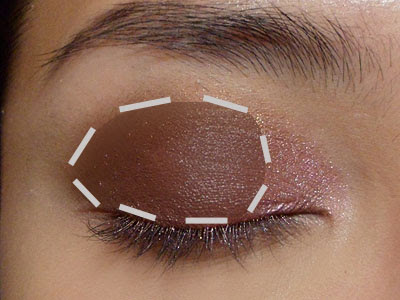 Step 2: Apply the rich bronze-brown along the center of the lids, leaving only the inner corners bare. Step 3: Apply the petal pink shade from the inner corner outwards, overlapping some of the brown, until you reach the center of the eye. Step 4: Finish the upper lash line with some dark aubergine to the outer part of the crease/socket line. Then run along the outer halves of the lower lash line with a flat angled brush as well. 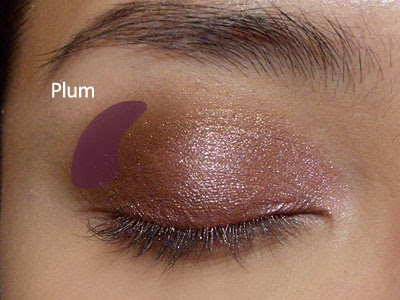 Step 5: After you're done with the shadows, apply a plum metallic pencil to the top and bottom lash lines. 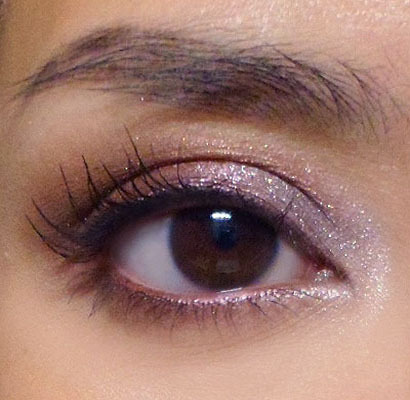 (I used Rimmel Exaggerate Waterproof Eye Definer in 220 Perfect Plum.) Then apply mascara to finish! 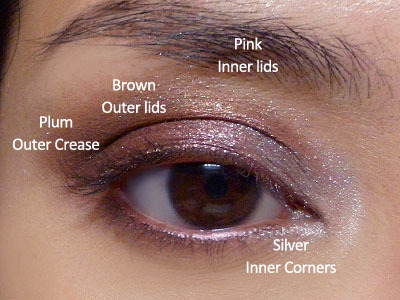 Exactly my kind of eye makeup! Love it! Hi Pineapple-Pricess, thanks and hope you have fun with the colors!